One of the most outstanding and versatile Italian conductors of today, Alessandro Crudele, is a principal guest conductor of the RTS Symphony Orchestra, in the 2018/2019 season. In March 2019, this prominent artist, recognised by world music critics as a sophisticated interpreter of the music of French Impressionism, will hold a concert with the Orchestra of the RTS Music Production, where, among others, one of the most important works of Antonin Dvorak – Seventh Symphony will be performed. 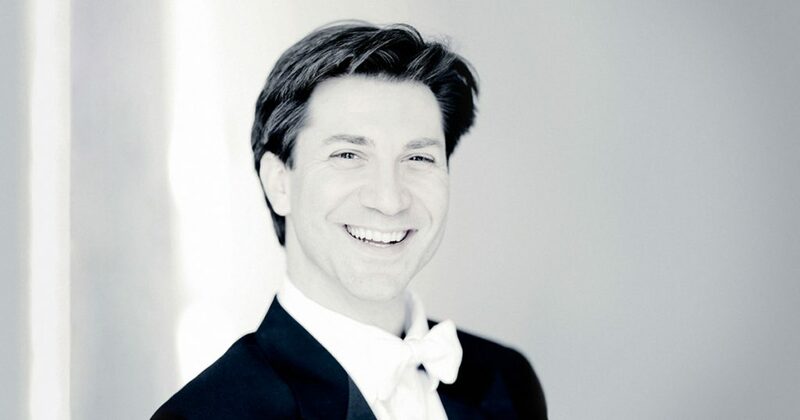 The international career of Alessandro Crudele has progressed very quickly and enabled him to collaborate with prestigious orchestras, such as the Berlin Symphony Orchestra, the Bamberg Symphony Orchestra, the Melbourne Symphony Orchestra, The Malaysian Philharmonic Orchestra, The Israel Philharmonic Orchestra, the Orchestra Sinfonica Arturo Toscanini, the Orquestra Sinfónica do Porto Casa da Música, the Prague Symphony Orchestra, the RTS Symphony Orchestra, the Israel Chamber Orchestra and the Hong Kong Sinfonietta. The forthcoming activities of this artist include performances with Thuringian Philharmonic Orchestra Gotha – Eisenach, Orchestra di Padova e del Veneto, the Shenzhen Symphony Orchestra, the Minas Gerais Philharmonic Orchestra, and reappearances with the Monte-Carlo Philharmonic Orchestra and the Hong Kong Sinfonietta. Among Crudele’s most significant successes during the last season are his debut in the concert hall of the Berlin Philharmonic Orchestra, then in the prestigious “Tonhalle” in Zurich and “Gewandhaus” in Leipzig, as well as his very successful debut in Japan, with the Orchestra Ensemble “Kanazawa”. He made his highly acclaimed Opera debut with Rossini’s “Il Signor Bruschino”. In 2000, Alessandro Crudele was appointed Chief Conductor of the Orchestra “UniMI” from Milan. In just a few years, this ensemble under Crudele’s leadership has gained a significant artistic reputation and today performs with eminent soloists such as Paul Badura-Skoda, Natalie Clein, Ingrid Fliter, Viviane Hagner, Martin Helmchen, Albrecht Mayer, Gerhard Oppitz, Vadim Repin, Fazil Say, Lilya Zilberstein and others. Since the very beginning of his career, Alessandro Crudele has been working with young artists, and the collaboration with youth orchestras is still one of his priorities. From 2003 to 2006, he was a regular guest of the Orchestra dell’Accademia del Teatro alla Scala, and in 2014/2015 season, he conducted the Monte-Carlo International Youth Orchestra, which includes some of the best young musicians from Europe and all over the world. Crudele’s repertoire comprises works from the 17th century to the contemporary. Alessandro Crudele was born in Milan. He studied violin and composition at the Conservatory “Giuseppe Verdi” and graduated in 1997. His education as a conductor began very early. From 1999 to 2003, he continued his studies at The Accademia Musicale Chigiana in Siena where he earned several scholarships and the prestigious “Diploma d’Onore”. He received professional suggestions from well-known conductors, Christoph von Dohnányi and Sir Simon Rattle. Alessandro Crudele currently lives in Berlin.